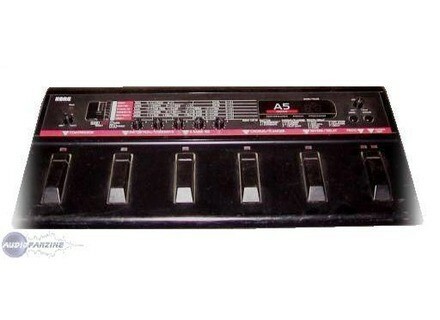 A5, Multi-Effects for Electric Guitar from Korg. - Multi effects pedalboard including compression/exciter, 3-band EQ, flanger/chorus, reverb/delay, noise reduction. - Effects can be shaped at will, with different, but classic, settings for each effect: volume, depth, rate, attack, delay, duration, etc. - Sounds can be edited, they are very easy to create and recall once saved. no possibility to export to pc/mac. - Connections: Input, output (stereo or mono), volume, headphone and, obviously, mains. You'll get rapidly used to it. You play, listen to the effects used, modify the speed of the chorus, add a bit of compression, boost the highs a bit, and record. Simple as that. You can save 30 recordings. I don't have the user's manual because I bought it secondhand. - Very effective effects, I always find something that matches what I have in my head. - I use it with guitars (fender tele us, semi-hollow ibanez, acoustic-electric), but also with a bass (fender precision) and vocals. - If you tweak the settings to extremes you can get weird effects that resemble drops of water, a helicopter, etc. I've been using it for at least 4 or 5 years. Someone offered it to me secondhand, I had never heard it before, but it's perfect for me. It's undoubtedly a bit outdated, but I think it's a good value for money. It has lots of effects for the price I paid (€85) and they are of good quality. You have a compressor, a distortion and an overdrive, an EQ, a reverb, delay, chorus, echo and noise reduction, all of them can be mixed and they are completely modifiable. If you have a stereo amp or two amps, it has two jack outputs (Left/mono and right) to get stereo effects (for delay and similar). They can't be edited on a PC and it has no MIDI ports, only 1/4" jacks and a mini-jack for headphones. It has a pretty complex configuration and you'll need to take your time to figure out how to edit sounds. But once you do it's truly awesome. The manual is pretty technical but it's good to look for preset sounds. To conclude, it's only a bit hard to configure at first. The noise is great for a unit costing only €85! 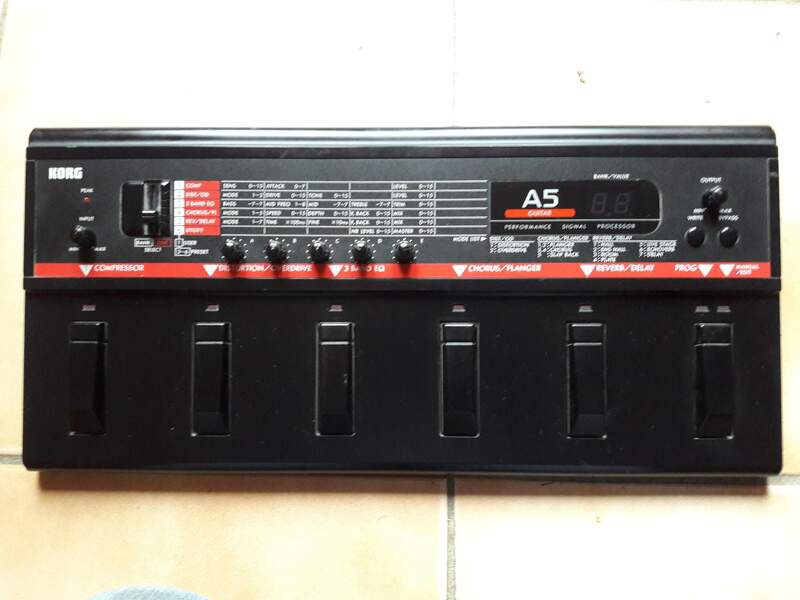 It's great for rehearsals and gigs, although I doubt it's good enough for high-quality studio recordings (along with your guitar if you don't have noiseless pickups), but it's great for basic studio recordings. 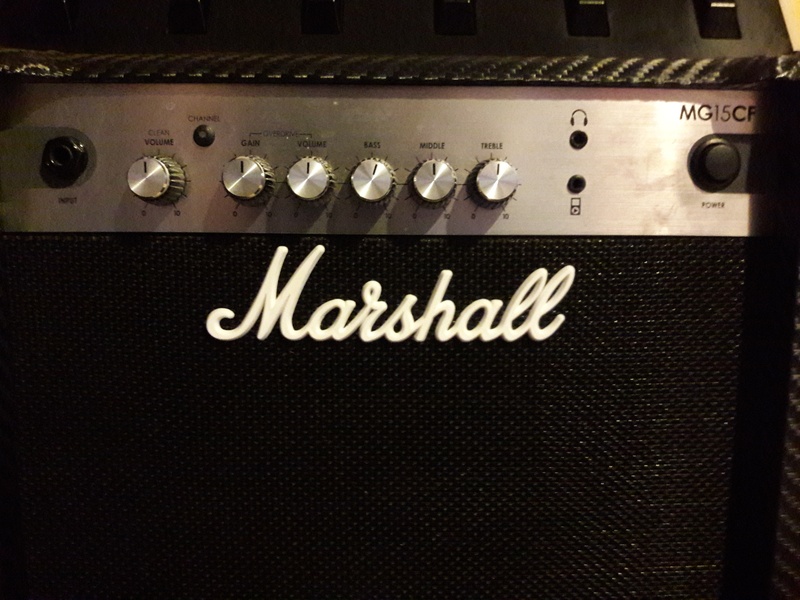 Effects can be modified at will so they can be adapted to any amp (from 10W to 100W and more). I play a Stratocaster Vintage and a Jackson PS2 and it sounds fine. 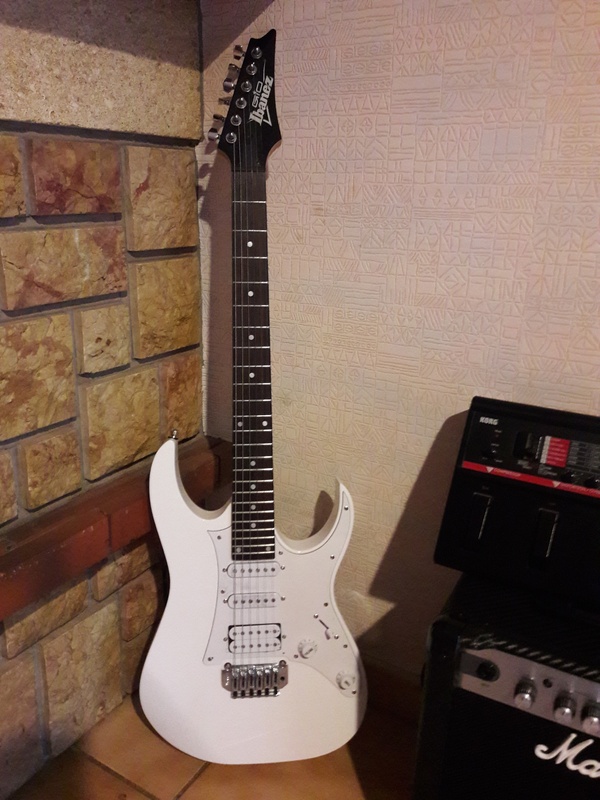 I have used it with many other guitars and the sound doesn't vary. I've been using it for a couple of years. I bought it secondhand, so I don't know how old it is, but I've never had a single problem with it. Except for the jack input I had to resolder, but it's a minor detail. I tested other pedals before, but with heftier price tags, especially if you want to get as many effects. I don't think it's too practical to have dozens of pedals in front of you. Its value for money is simply insane! Based on my experience, I wouldn't hesitate to buy it again. It's very easy to use...The problem live is that it works with 5-preset banks. That certainly isn't its most practical side, but you can make do with some experience. Editing sounds is pretty easy, once you've understood how it works. But it's not very intuitive. I use it with my guitar, but I can also connect it to a PC. Sounds are a bit outdated, but they remain useful with a good amp or preamp. I've been using it for 14 years!!! Which says a lot about its sturdiness. Back then it wasn't cheap, it was a high-quality product. The reason I say that is because it's easy to get one secondhand and it's all right to start out. I still use it. The basic effects are fine! Compressor, distortion, EQ, echo, delay. The connection options are very simple: 2 output jacks, 1 input jack, 1 headphone output, in short, all you need to play without having to go through 1000 pages, you simply plug in and play!!! I think I've never seen anything easier to use, a 6-year old would be able to use it in no time. The sounds, as well as the effects are quite all right and they won't make you blush in front of a new multi-effects. 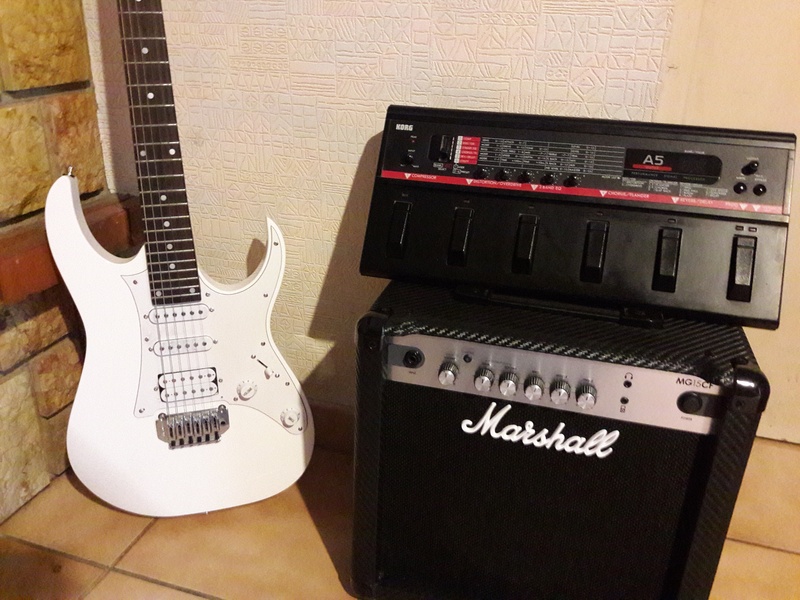 Granted, it doesn't have the bizarre sounds of modern multi-effects, but if you are like me and just want a rock or metal sound without the need to rack your brains, it's the best option! Effects are very effective and well-adapted for many styles. With up to 5 sound presets it will suit most guitarists, the sound that comes out has more to do with what you can do with your fingers! I play a Gibson Les Paul Melody Maker (first of its kin), a Gibson SG Standard, a Godin st2, everything with a small Marshall JTM 30. What I like least about it is that, after having resoldered everything I lost my sounds, although I must say that it's over 17 years old (it's sturdy). Well, as I wrote above, it's over 17 years old, I even bought another one to use it with my bass. It's a real pleasure to play guitar with it, I go from blues to metal with a sound that has always satisfied me. Splendid clean sounds. On a side note, I bought a Zoom G1X to get more modern sounds but it was crap. It sounded really cold, unauthentic. I recommend it if you are looking for a relatively authentic sound, but that's not enough!! You also need some skilled fingers to go with it. Great value for money, you can get it for about €65.